The other day on Facebook, I posted a photo of Hannah's Christmas tree from a few years ago. 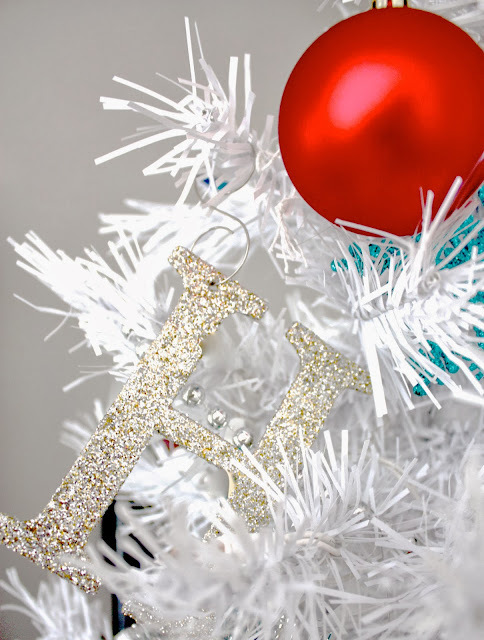 I was feeling sad that this year when she decorated her room for Christmas that my her favorite tree skirt didn't make the cut (Click here to read about Hannah's ballet tutu tree skirt). Now that she is 14, her little girl ballet memorabilia isn't so cute to her anyone. I was sad only for a day. I'm in love with what she came up with this year. It's a perfect reflection of where she is at in life right now. Her Christmas design celebrates her teenage years. Fun, care-free and funky. 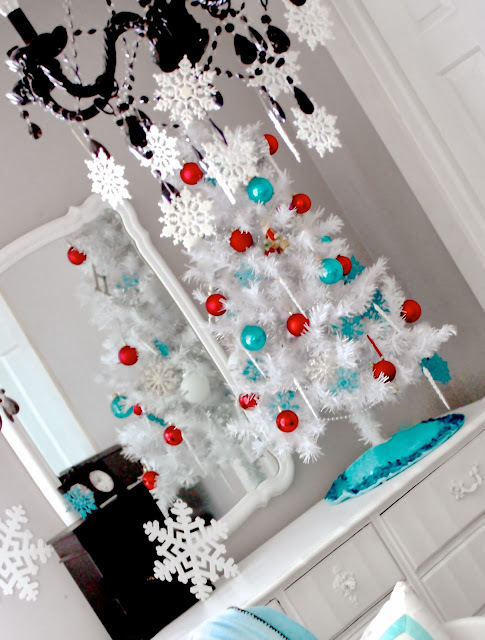 She decorated her tree in colors pulled from her bedding and added a fun pop of red. 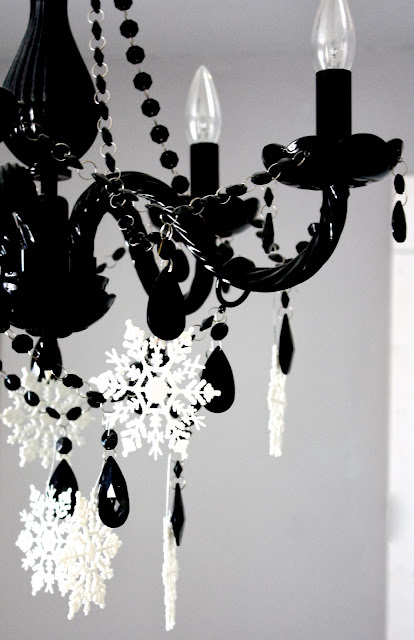 Glittered snowflakes were hung from her black chandelier, it looks very majestic at night when the lights are on. My favorite element that she added to her Christmas bedroom this year are the simple white lights framing her pop art. As hard as it was to let go of the ballet tutu, it is just as much fun to watch her and her Christmas decor evolve. Great job on your Christmas room this year, Hannah! Merry Christmas, thanks for stopping by. 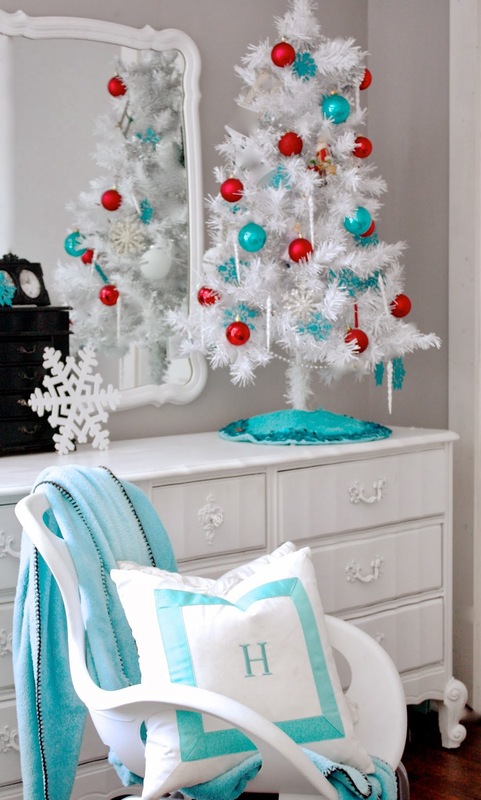 Where did you get the white Christmas tree? This is gorgeous! I love the pops of red with the icy blue.